Check out my review of the new Schlotzsky’s Viva l’Italia menu and be sure and enter the giveaway (that Schlotzsky’s so generously provided) to try it yourself below! I have always been a lunch person. It is something I look forward to every day. I guess this started years ago when I worked my first office job, and I quickly looked forward to that magical hour in the middle of my day! Big, hearty sandwiches have always been one of my favorite lunch (oh, who am I kidding, dinner too!) options. And one of my favorite sandwich shops (dating way back to those first office job days) has been Schlotzsky’s! That’s why I was more than happy, more like giddy, when they reached out to me to try their new Viva l’Italia menu and share it with you all! The new Viva l’Italia menu inspired by the tastes of Italy, is now available at all Schlotzsky’s. This Italian inspired menu consists of oven-baked pastas, gourmet pizzas and specialty Ciabatta sandwiches! We recently tried two of the new Viva l’Italia sandwiches, The Caprese (which also happens to be vegetarian and pictured below)- with shredded mozzarella cheese, plump roasted tomatoes, mayo, crisp field greens, caramelized balsamic onions, basil pesto, and a sweet balsamic glaze, all sandwiched between a chewy Italian Ciabatta roll. 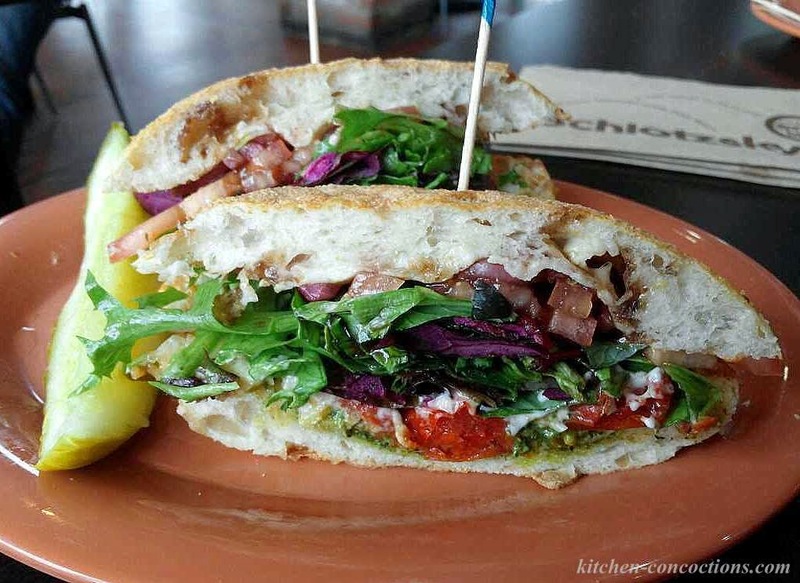 We also tried The Tuscan (pictured below)- with roasted turkey breast, gooey pepper jack cheese, fresh Roma tomatoes, field greens, crispy bacon, cilantro and a creamy chipotle aioli topped off with fresh avocado. All sandwiched between a chewy Italian Ciabatta roll. The Caprese was hands down our favorite! It was light yet filling (perfect for the warmer spring weather) and had loads of flavor! 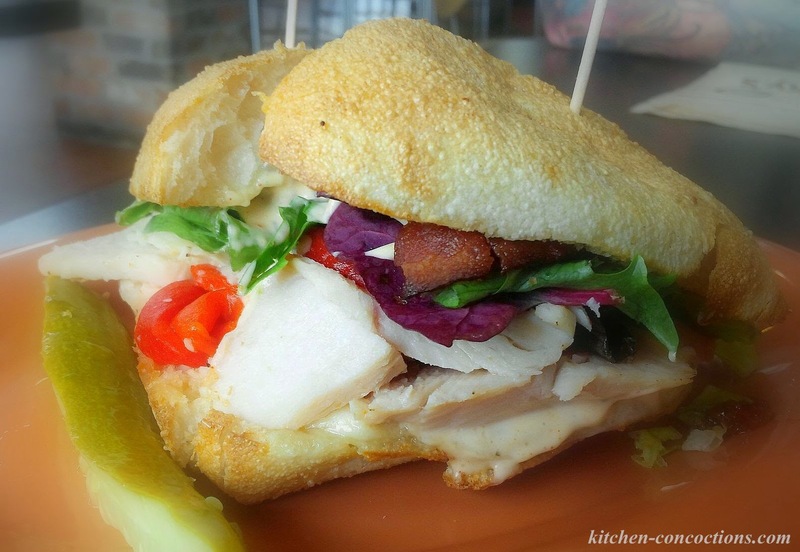 I loved how fresh this sandwich was and can’t wait to have it again. Other new Viva l’Italia menu items I am looking forward to try is the Italian Chopped Salad, Chicken Alfredo Pizza and Chicken Pesto Carbonara. 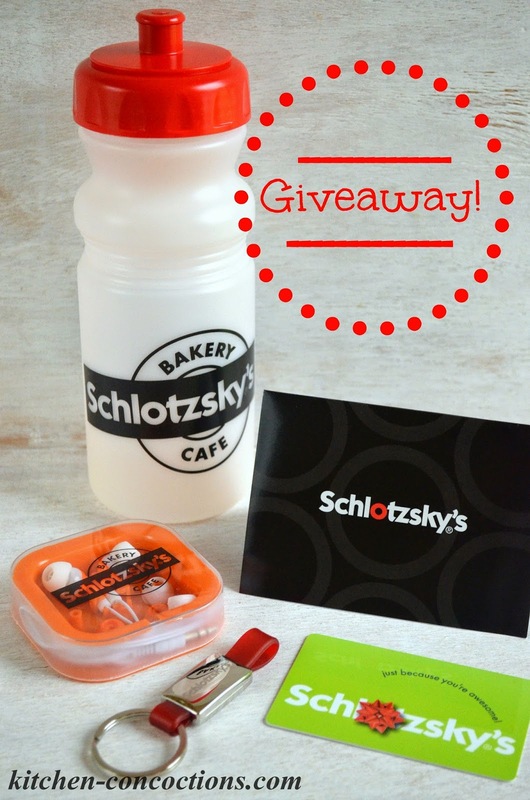 Disclosure: This prize pack and gift card is provided by Schlotzsky’s. I was provided a gift card as well to help facilitate this review. All thoughts and opinions are 100% my own. The Italian Chopped Salad looks good. I'm most excited to try The Caprese, but I'd like to add ham to it. The chicken pesto carbonara looks good!